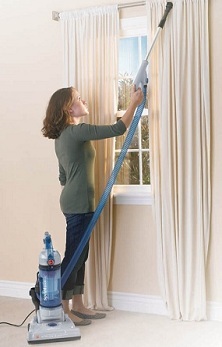 The Hoover Sprint QuickVac Bagless Upright is a more compact, lightweight upright vacuum. It is designed with multi-level dwellers in mind. 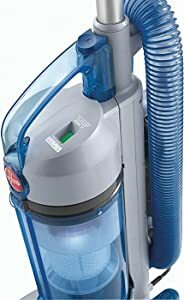 Also the lightweight, yet powerful vacuum features Multi-Cyclonic technology that separates fine particles of dirt before they reach the rinsable filter. As a result, you will save time by cleaning filters less often. You can clean more areas of your home faster without re-plugging, thanks to the 23 foot power cord. 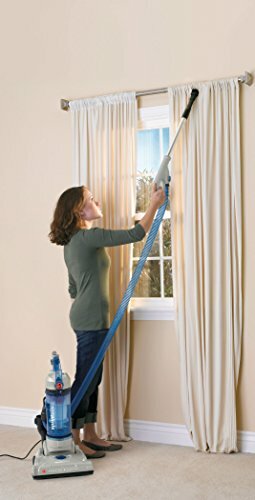 Also there is up to seven feet of above-the-floor cleaning reach with this vacuum. Easy to use removable cleaning wand and three floor height setting for every floor type. 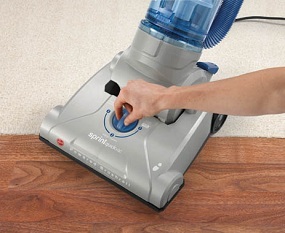 The powerful and affordable Sprint QuickVac Bagless Upright removes the heavy-lifting from cleaning and helps you sprint through vacuuming. Also it’s designed to clean multiple floor types. Simply choose one of three height adjustments settings to help customize nozzle height to match your cleaning surface. 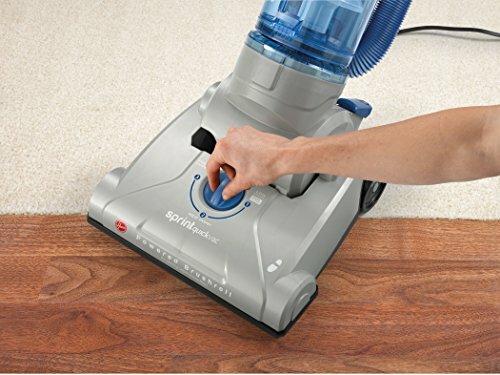 Ultra-light yet powerful vacuum features multi-cyclonic technology that separates fine particles of dirt before they reach the rinsable filter, which means easy filter maintenance. 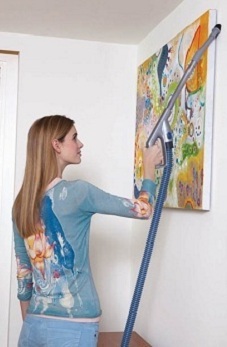 • Cleaning Wand – removable for easy floor-to-ceiling cleaning. • 2-in-1 tool – features a dusting brush and an crevice tool. 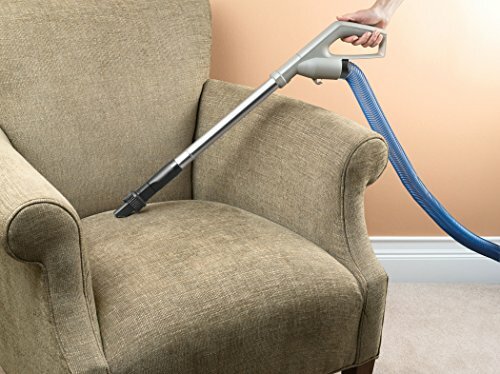 Up to 7 Feet of Above-The-Floor Cleaning Reach. 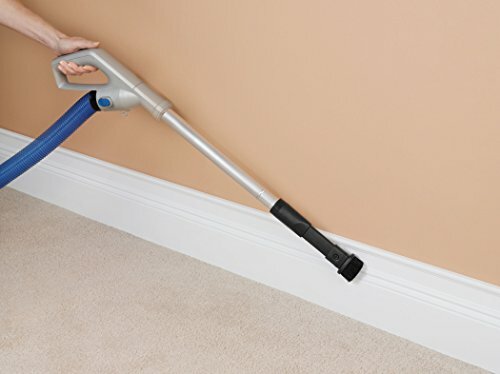 Also easily to clean both carpets and hard floors with the brush roll height adjustment. The crevice tools is perfect for cleaning tight spots. Easily interchangeable tools for detailed cleaning. 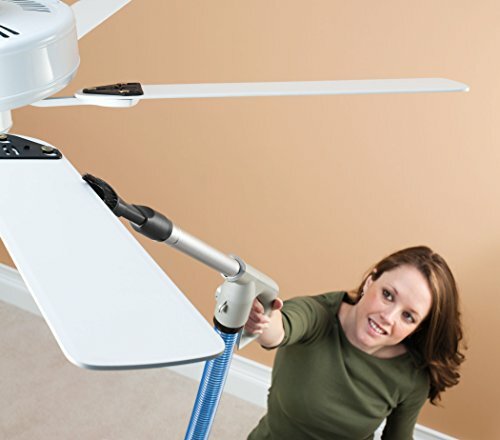 Maximize your reach with a 23′ power cord and removable cleaning wand. Rinsable filter can be easily cleaned with water and reused.